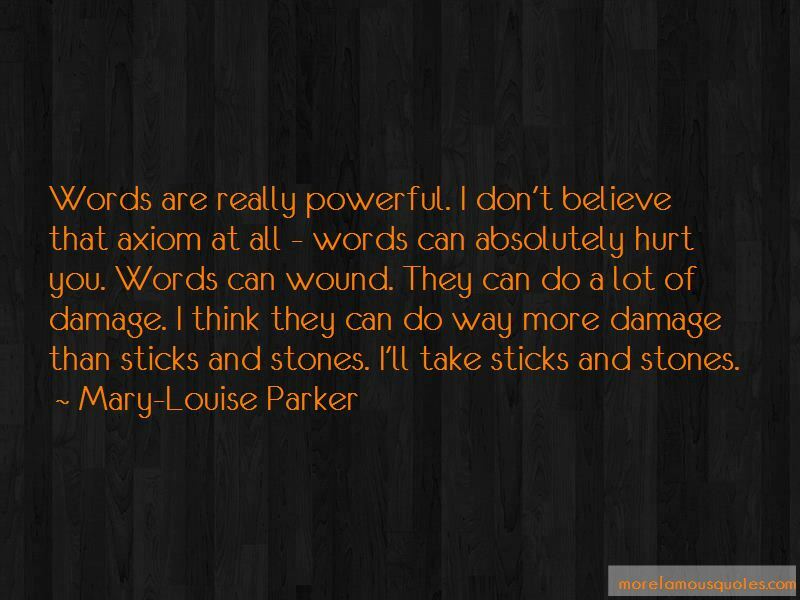 Enjoy the top 56 famous quotes, sayings and quotations by Mary-Louise Parker. I thought the other ones were so obviously - what are we going to do if she burns down the house? The DEA, which I think was maybe the best one because she's wearing the jacket when she goes through the mirror and I think that was kind of amazing because you really weren't expecting that. There's something almost slapstick about this in a way that worried me. It was a little pratfalley with the golf club and the - but I think it probably cut together okay. Toronto I've worked in so many times so you kind of just know every store, every hotel, every - it's really close to New York so it's awesome for my children so if I have to go home for two days it doesn't take very much time. Except for Air Canada. Air Canada is the worst part. The first thing I ever bought for myself was a green Lacoste shirt. People ask me, 'Why are you doing a show on Showtime?' Because I'll do anything really, I don't really care, I'll do a show on Nickelodeon if I thought it was well written. Actually Nickelodeon's kind of awesome. There's something really sweet about the way he's playing the part and he's kind of irresistible in a way. They're both really lonely. That's kind of established from the very beginning in the movie. The way they meet is just classic, lonely losers. With TV, there's a continuum with the crew and the cast so you feel like you have a sense of community in a way, which is similar to theater. I really prefer acting in the theater the most. In some ways TV is closer to that because there's more of a regularity to the schedule. You have to finish an episode by a certain day. Movies can just go on interminably. Usually I'm trying to turn something around or turn it inside out and see what's underneath. I know that probably sounds incredibly vague but I never set out to be likeable or funny or anything like that. 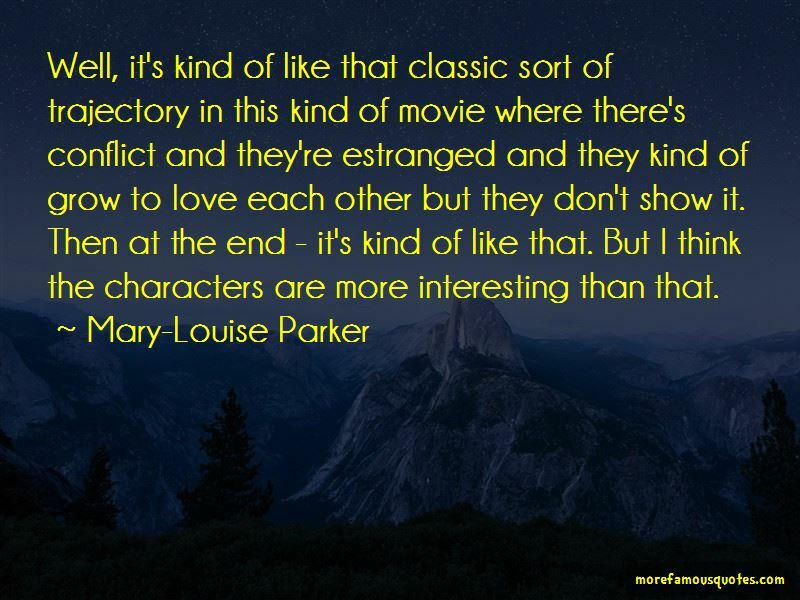 I'm just trying to tell the story in the best way that I can and serve the writer because it's really about the writer. 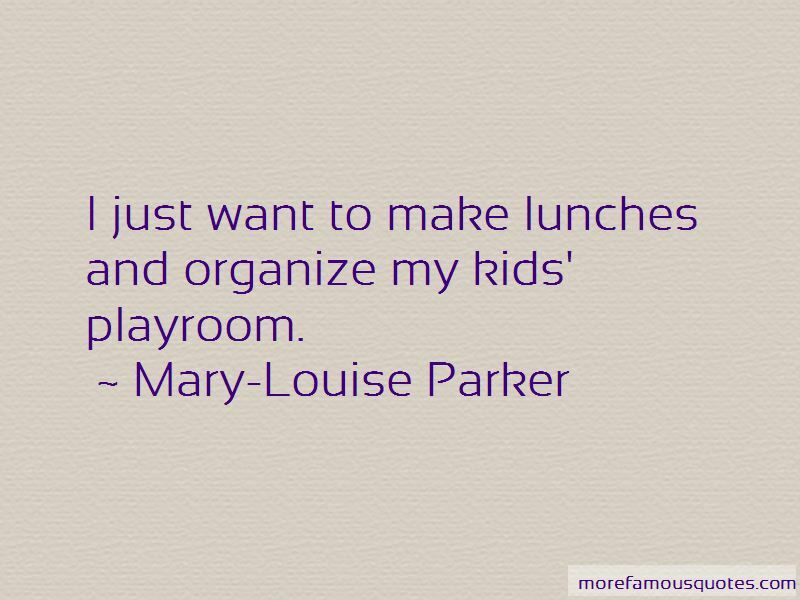 Want to see more pictures of Mary-Louise Parker quotes? 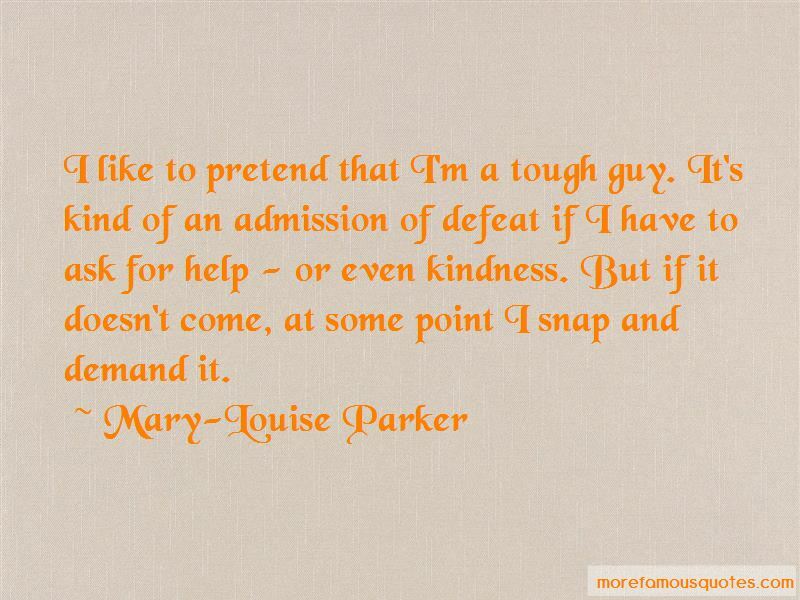 Click on image of Mary-Louise Parker quotes to view full size.